Curtains Blinds Wallpaper Singapore: What Are The Differences Of Curtains & Drapes? So what are the differences between curtains and drapes? Always wanted to get rid of that morning and afternoon sun shine that beams right through into your home? Well, you do not need to look any further as we would like to discuss the two options such as Curtains and Drapes. You may ask, what is the difference between Curtains and Drapes? Yes, both provide a barrier at the windows to prevent sun light from shining into the house but let's look more in-depth at what they can provide as options to your home. First of all, most Curtains are known to be relatively cheaper or rather affordable as compared to drapes or other high end fabric Curtains. However with this said, light fabric Curtains are available in the market today and precisely due to the type of fabrics chosen, a Curtain can be very light indeed. Most curtains in today's market are either hooked on rolling tabs affixed onto roller tracks hanging from above the window frames inside the rooms or there are even special types where the Curtains are made with rings to be slider across on a horizontal pole railing fixed above the window frames. There can be many other innovative ways that curtains are installed to be found in stores these days too. Lengths of Curtains come in a few choices; either some come in short lengths and is suitable to be able to cover the window frames just nicely or there Curtains which come long lengths that reach the flooring level of the room. It is also mostly due to the nature of the Curtains that it can mostly be an informal or casual type of decorative shades at the windows. Up next, we would look at Drapes and what it offers as compared directly to Curtains. Drapes are considered to be much more comprehensive in terms of colour, high end fabric and very much heavier than when compared to Curtains. It is also precisely the true nature of Drapes that it is in the category of formal window covering and it would be served best to be installed at a living room or space and even at dining areas of the home. With the types of robust or solid colours chosen for the settings of the room, it can make a home look exceptionally exquisite and display true class as compared to Curtains. Yes. You may have to extremes for Curtains being a much more casual form of window covering and Drapes are a necessity if formal styling of the home is needed. As mentioned earlier are the types of features that both Curtains and Drapes offer to the consumer in today's market and in this respect, it provides a great abundance of choices for consumers and both would suit homes very well which require some form of personal choices on styling. 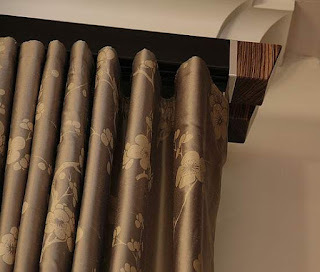 For one such example, it is very suitable as a suggestion to install light weight fabric Curtains at window frame length in personal bedrooms to keep it casual and install Drapes in the living room area where sometimes guests are invited over and it would serve as a visual comfortable and yet keep the warmth of the house intact. It's highly recommended to be well informed of the types of window coverings the next time you decide to shop at the shopping mall or Curtain and Drapes service providers.